Besides the important Waddeneilanden, which housed Flak batteries and radar locations, the province of Friesland was not very important for the Germans. Scattered along the coast some concrete can be found. The casemates on the Afsluitdijk are examples of the modern Dutch 1930s fortifications which were re-used by the Germans. Additional pictures Henk Adriaanse, 2012. 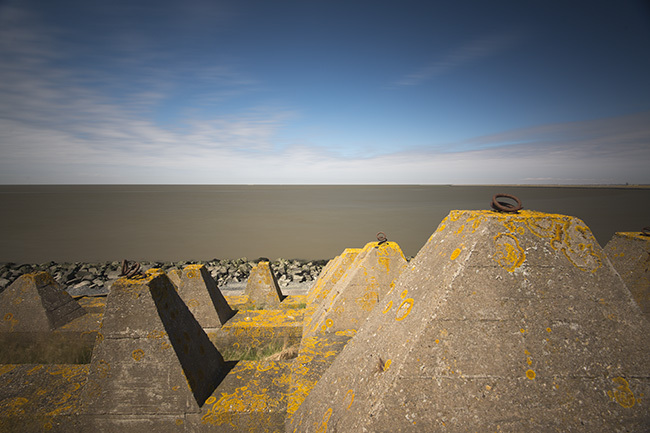 Höcker anti-tank obstacles on the Afsluitdijk.